One of the first things you’ll notice about the Huawei P20 and P20 Pro is its design which is way different from its predecessor. Huawei says it has a striking, fashion-forward aesthetic with colors effects not commonly found in today’s smartphones. It comes in Twilight and Pink Gold which was achieved by applying several layers of Non-conductive Vacuum Metalizing (NCVM) optical coatings underneath the glass back, so light hitting the surface refracts and creates a vivid, yet gradual change of hue. 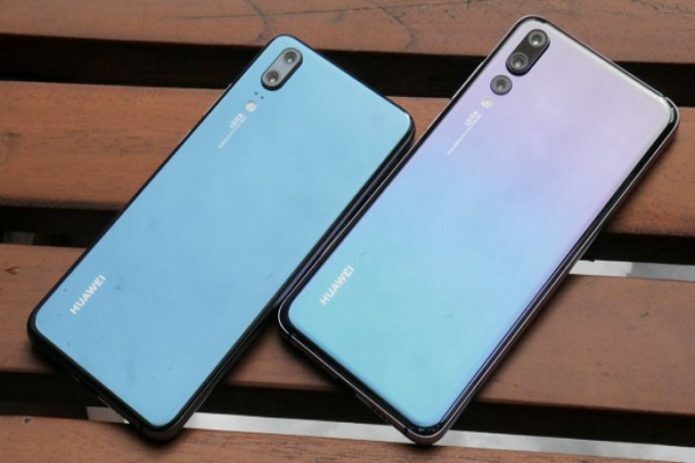 Not only that, these phones can resist water and dust with the P20 having an IP53 rating while the P20 Pro has IP67. They also come in Black, Champagne Gold, Pink Gold, and Midnight Blue colors. Another eye-catching feature of the P20 and P20 Pro is its display. The former has a 5.8-inch LCD with 3D glass, while the latter has a 6.1-inch OLED display with 3D glass as well. Huawei calls them the FullView Display and it comes with a notch design which is starting to become common in high-end devices. When it comes to the resolution both have 2240 x 1080 pixel resolution giving them a pixel density of 428ppi and 408ppi, respectively. One of the strongest points of the P20 Pro is its Leica triple camera system. It is comprised of a 40MP RGB sensor with F/1.8 aperture, a 20MP monochrome sensor with F/1.6 aperture, and an 8MP sensor with a telephoto lens and F/2.4 aperture. It also features a color temperature sensor for better color reproduction, 5x Hybrid Zoom, ISO sensitivity of up to 102,400, six-axis stabilization and 960fps super slow motion. As for the P20, uses a Leica dual camera system consisting of 12MP RGB and 20MP monochrome. Like the P20 Pro, it has six-axis stabilization and 960fps super slow motion. The P20 and P20 Pro are powered by Huawei’s own Kirin 970 chipset with built-in NPU for AI applications. For one, it allows the Leica cameras to automatically identify more than 500 scenarios in 19 categories, run 4D predictive focus mode which predicts moving objects and focuses on them rapidly, AI beautification, 3D portrait lighting, AI-assisted color balancing, and AI-assisted framing. In addition, the P20 series supports Google ARCore to run advanced AR applications. The chipset is paired with a 4GB (P20) or 6GB (P20 Pro) RAM, Mali-G72 MP12 GPU, 128GB storage, and EMUI 8.1 based on Android 8.1 Oreo. Given that these are powerful devices, it’s only fitting that Huawei equipped them with above average batteries. The P20 sports a smaller 3,400mAh power pack, while the P20 Pro has 4,000mAh which is the same capacity as the Mate 10 and Mate 10 Pro. Both support Huawei’s SuperCharge and AI Battery Management.